When spring in Chicago comes, athletes are eager to exchange their thick pants and heavy jackets to lighter clothing for their outdoor workouts. 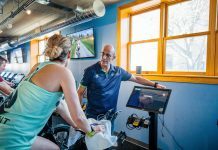 In just a few more weeks, athletes will be sweating through their t-shirts too, looking for even lighter apparel to keep them cool in hotter temperatures. 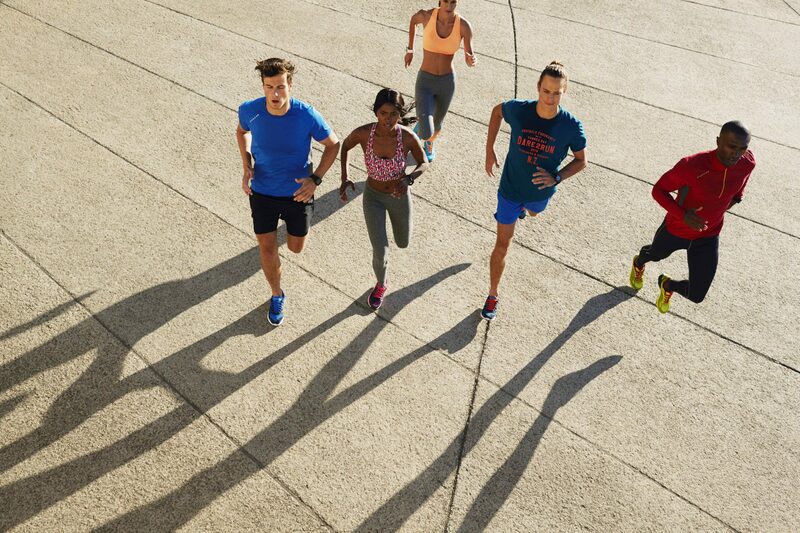 As a runner myself, I’m always looking for new brands and styles to rock on my outdoor runs that will not only look and feel great, but keep me cool throughout. With so many brands out there, it’s hard to navigate them all, and choose what will work for me. When I stumbled across Dare 2b, though, a line that understands the differences and necessities among all different sports, I knew I had to try them out. Dare 2b started in 1999 as a ski wear-only brand, and over the years has introduced different products for every sport and experience. Where many active lines focus solely on comfort and functionality, Dare 2b really values style too, as it knows that athletes feel good when they look good. I tried Dare 2b’s Warm Up sports bra and Infinite II hoodie. Personally, I have a really hard time finding sports bras, as I’m in between sizes and either they’re way too constricting or not supportive enough. When I first put on the Warm Up bra, I was shocked; it fit right in all the right places, and did not rub or irritate my skin, another problem I have. It also provides full coverage; with the removable pads and lightweight stretch fabric, I could literally wear this bra all day long and be comfortable. In fact, I have done that. The Infinite II hoodie also receives full stars in my book. Spring is an awkward time for runners; without wanting to be cold, we layer up, and end up overheating just a few minutes in. Finding that perfect layer to warm you up and keep you cool at the same time is very difficult, but Dare 2b did it with this hoodie. It’s made from “heat-busting, sweat-wicking fabric that’s supremely soft and light to wear,” and is super stretchy and slim, but not too tight. Honestly, I feel like a professional athlete in this hoodie, and I wear it whenever the weather is somewhat questionable. The pockets and thumbholes are just an added bonus. Both pieces I tried from Dare 2b honestly surprised me; I’ve tried a lot of different brands on the market, and typically end up liking the ones that are the most expensive the best. However, Dare 2b’s prices are extremely reasonable, with the Warm Up Bra only $25 and the Infinite II Hood at $50. Quality products for low prices are nearly unheard of for athletes, so Dare 2b is definitely worth checking out. Dare 2b also has a men’s line, and sells some products at various ski shops in the Chicagoland area. Find its full product line at http://en.dare2b.com. Versatile, technical, and stylish, these pieces double as trusty workout apparel and comfy leisure wear.